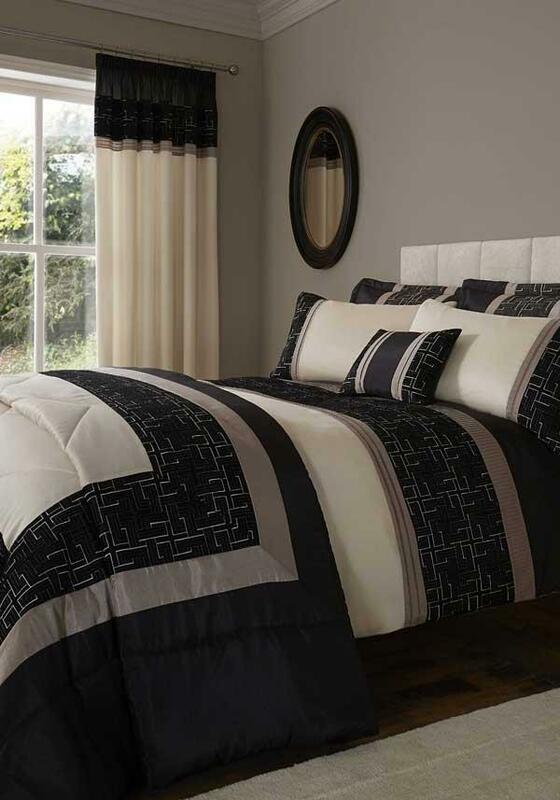 In sumptuous faux silk, this modern duvet cover set with embroidered geometric patterns, on faux silk is both elegant and timeless. In black, taupe, and cream, they ooze elegance, and look fantastic with most colour schemes. Why not complete the look – add matching curtains.